This week, we bring you the highlights from PokerStars, Full Tilt Poker, and partypoker blogs from last week. Scotland's Ludovic Geilich burst onto the live tournament scene in a big way in 2013, when he took the first place in a three-way chop in the PokerStars United Kingdom and Ireland Poker Tour (UKIPT) Marbella Main Event for €130,000 ($171,790) in June, and then finished in fourth place at the European Poker Tour (EPT) London Main Event for £193,340 ($313,482) in October. Geilich is known both for his ability to build a big stack as well as have a bit of fun on and off the tables. The PokerStars blog titled EPT11 Deauville: Beers, Berende and Gr4vyBo4t discusses how Paul Berende is sharing a table with Geilich at the European Poker Tour (EPT) Deauville Main Event and notices that his animated opponent's stack size is moving like a roller-coaster while drinking a beer by himself. Berende offers to join Geilich for a beer if they both make the final level of Day 1b, which was no certainty. Both Geilich and Berende made it to the day 2, so we believe that the Berende joined Geilich for a tasty brew before ending the night. Read more on the PokerStars blog about the fun banter between Ludovic Geilich and Paul Berende. Canadian poker pro, Jonathan Duhamel, is best known for winning the 2010 World Series of Poker (WSOP) Main Event. 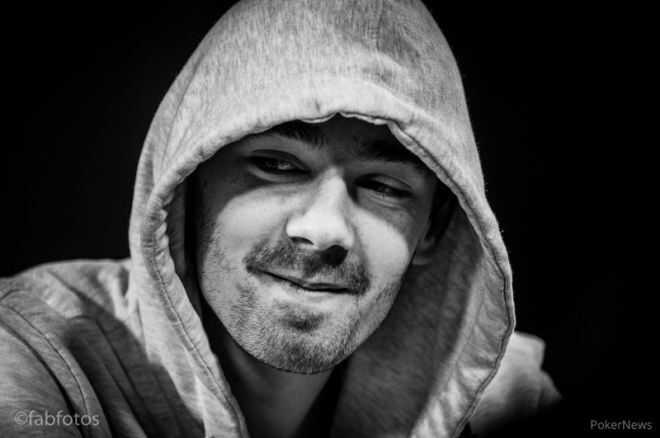 Did you know that until 2013 he was also undefeated in partypoker Premier League play as well? The Full Tilt blog titled Bluffing Bad features a two-minute video when Duhamel's streak came to an end in the partypoker Premier League 6 partially due to him "bluffing bad" in a pot against Dan Cates. Unfortunately for Duhamel, Cates had pocket rockets. While Duhamel was unable to win this hand, he was still able to manage a third place for $209,000. Head to the Full Tilt blog to check out Duhamel's bluff gone bad. Partypoker's Tony Dunst knows a thing or two about traveling around the world to play and commentate on some of the biggest poker events on the calendar. On a partypoker blog titled Five tips for making the most of a poker trip, Dunst gives his top tips on how to optimize your next poker trip outside of the felts. While we won't go into all the top tips, the first tip of avoiding booking flights at miserable times seems like sound advice for those traveling for a poker event or going on vacation. Read more on the partypoker blog about Tony Dunst's top five tips to make the most out of a poker trip.